With summer quickly approaching, many of us will soon find ourselves at the beach, by the pool, on a boat etc. While soaking up the summer sun, many of us enjoy having a summer soundtrack playing in the background. Of course using a radio, smartphone, or speaker near the water or on the beach can have disastrous consequences. Fortunately, many companies are manufacturing speakers and radios that can withstand a wet, sandy environment. Once such company, Hercules, provided me with one of their newest products, the WAE Outdoor Rush. 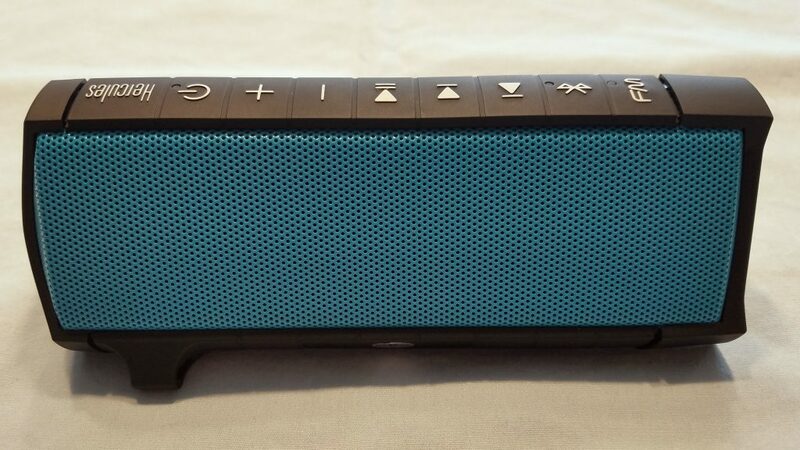 The Rush is a combination Bluetooth speaker/FM radio, with a water and dust-proof IP67 rating. 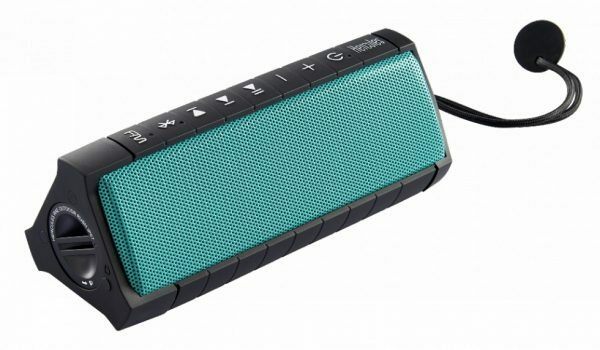 The Rush is a triangular shaped speaker measuring 6.5 inches by 2.24 inches by 2.56 inches and weighing .7 lbs. 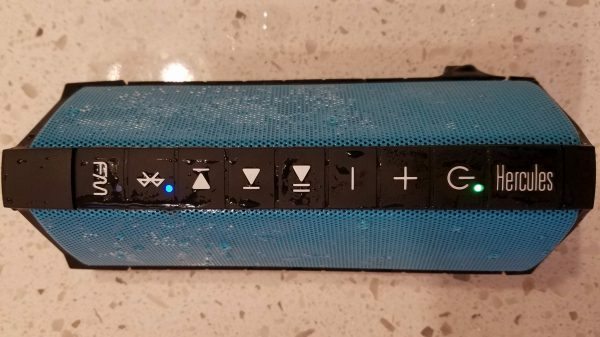 The top of the speaker contains all the buttons used to control the device. The speaker’s grills are designed to withstand corrosion from salt, a huge bonus if you’ll be using it at the beach. 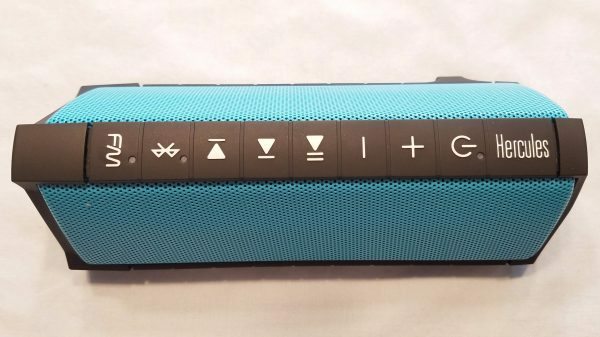 One side of the Rush contains an “access hatch” that conceals a micro USB charging port, a USB output, and a 3.5 mm audio input. The hatch is used to protect all the ports from sand and water. It is very easy to screw and unscrew with your fingers. If for some reason you do find yourself having trouble removing the hatch, the included lanyard has a plastic “key” you can use. 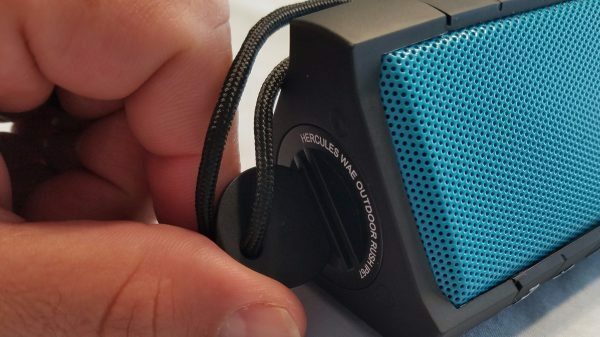 The bottom of the speaker has a threaded accessory area that can be used to attach the Rush to various mounts and clips. I really like the design of the Rush. I love the fact it has separate volume and track skip buttons. Plus, all the buttons are large and easy to use. The access hatch is a great way to make sure everything is dust and waterproof, while the ability to attach mounts and clips opens up a world of possible uses for the speaker. The first time you power up the Rush it enters into Bluetooth pairing mode. 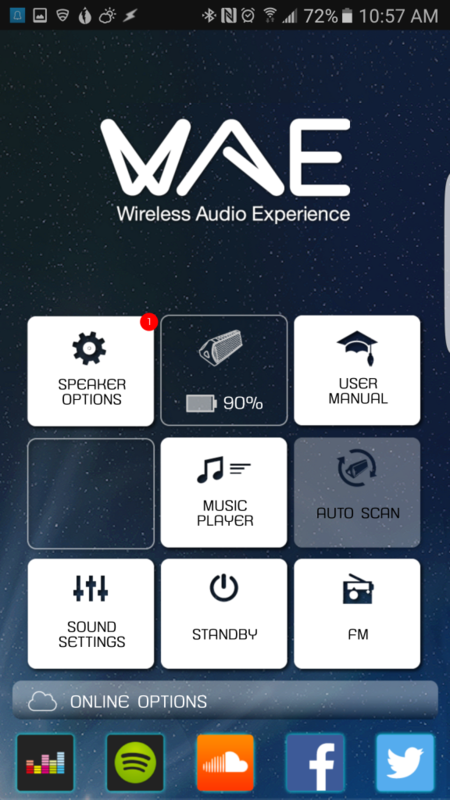 To pair the device you select “WAE Outdoor Rush” from the available device list on your phone. Once successfully paired, a blue LED on the Bluetooth button lights up. 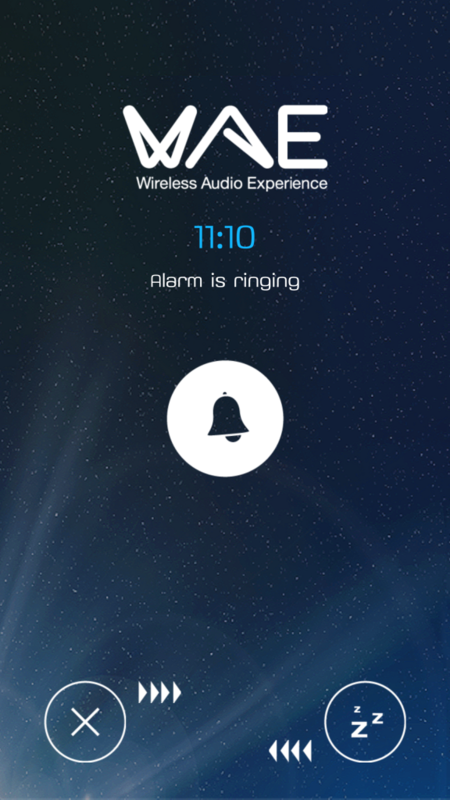 One nice feature of the Rush is its ability to be paired to up to 8 devices. Obviously this isn’t simultaneously, but it is great for anyone – like me – who finds themselves streaming audio with several different devices. 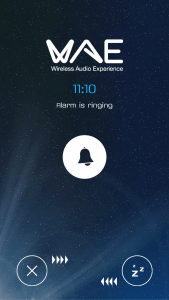 To add additional devices to the Rush, you hold down the Bluetooth button for 3 seconds. The Rush will enter into pairing mode and the Bluetooth LED will begin to blink. You can then select the Rush from your other device’s Bluetooth menu. While I didn’t attempt to pair 8 devices with the Rush, I did pair both my tablet and my phone. It’s nice being able to easily jump between streaming with the two devices based on my needs at the moment. After pairing the Rush, you can begin streaming audio. The great thing about the Rush is it has a dedicated button for all your common playback functions. 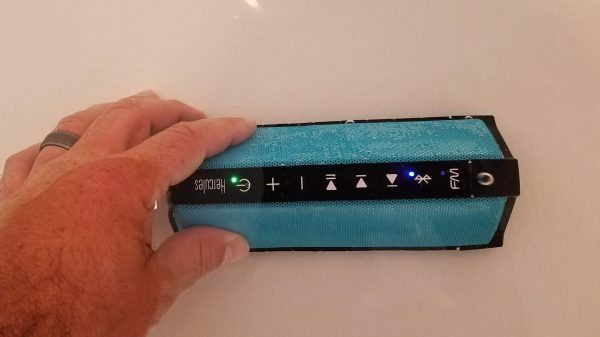 Most speakers I’ve reviewed have some form of a combination volume/track skip button. Several have had a multi-function button that acts as a pairing, power, and play/pause button. With the Rush there is absolutely no guesswork when trying to skip tracks, pair devices, or power up. While testing the Rush I streamed several hours of podcasts and audio. I found the sound quality to be excellent. I didn’t hear any background static or distortion. At one point I raised the audio to max while streaming music; even then, the audio sounded great. 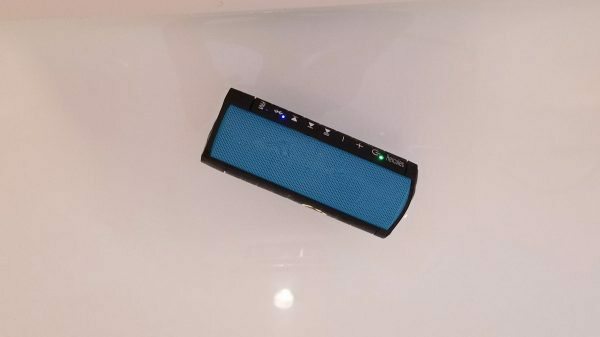 Even though it’s not the largest speaker around, it packs a pretty good audio punch; it should work well at a small gathering, at the beach, by the pool, or on a boat. 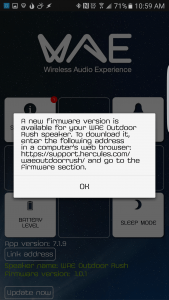 One of the more interesting features on the Rush is its ability to act as an FM radio. I had previously reviewed a Bluetooth speaker with a built-in FM function, but came away unimpressed; fortunately, the FM abilities of the Rush are much better. To use the FM radio, you press the FM button on the Rush. 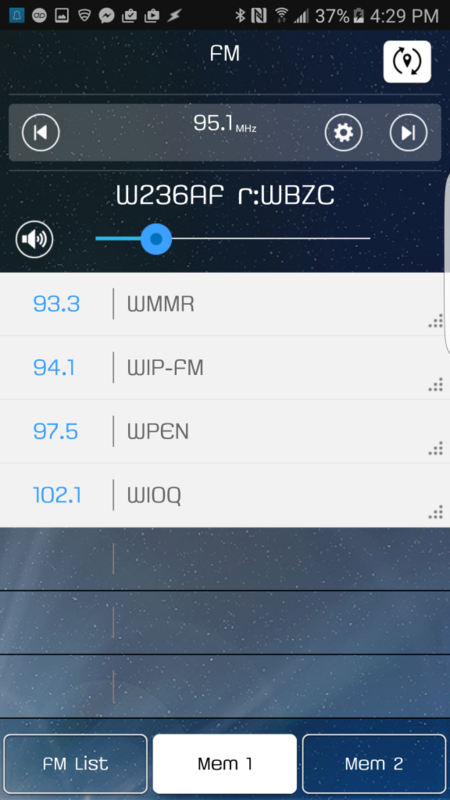 The first time you do this, the Rush will scan for the available FM stations in you area. After it’s done scanning it will begin playing the first available station. 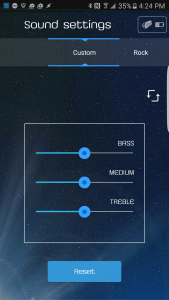 You change stations by pressing the track skip buttons, while pressing the play button mutes the sound. The sound quality is similar to what I got on my Walkman as a teenager, some stations sounded great while others had static. As I moved the Rush around, sound quality would improve or decrease depending on the station. The best thing about the FM function is it works independently of your smartphone. 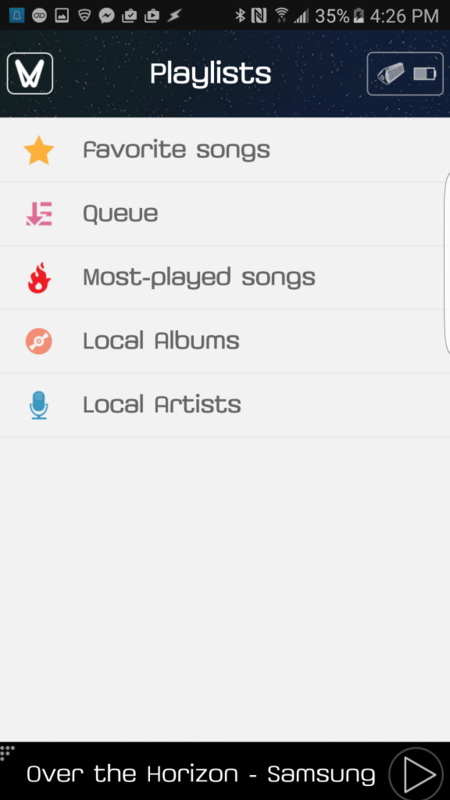 If you’re at the beach and you forgot your phone or don’t want to waste its battery life streaming, the FM function should help you quench your music thirst. The only drawback with the FM radio is that there is no display; determining what station you are listening to is guesswork. I think most people know what ingress protection, or more commonly, an IP rating is; however, in case you do not, it’s a rating system used to indicate a device’s ability to withstand dust and water. It’s a two digit code preceded by the letters “IP”. The Rush has a rating of IP67, meaning it’s dustproof and waterproof for 30 minutes in a meter of water. I decided to test this by filling my bathtub with water and dropping the Rush in it. After putting it in my tub, I was surprised to find out the Rush floats. 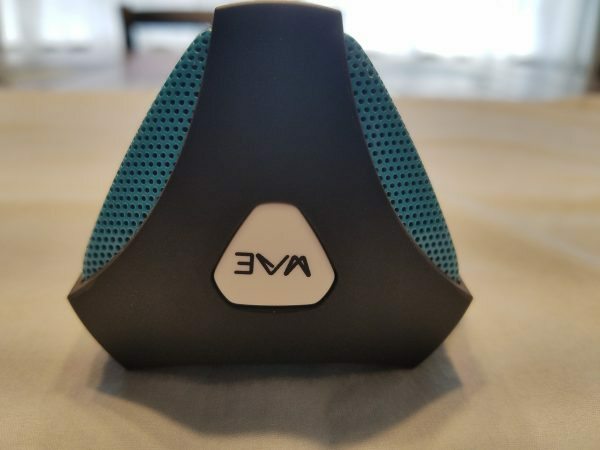 This is great because if you are on a boat and accidentally drop the speaker, you don’t have to worry about losing it to Davey Jones’ Locker. Next, I held the Rush under water as it was streaming music. Despite being underwater, the sound quality wasn’t half bad. Plus, any button I pushed worked just fine underwater. After removing the Rush from my tub, it continued to work perfectly. Once while working outside, I was listening to podcasts and found myself caught in a fairly heavy downpour. Unfortunately, I had to keep working in the rain for about an hour and a half; the entire time the Rush continued to work flawlessly. 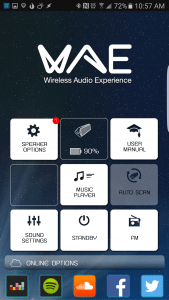 Another interesting feature on the Rush is its companion app “WAE Music”, WAE being an acronym for Wireless Audio Experience. The App is an easy-to-navigate, self-explanatory app. 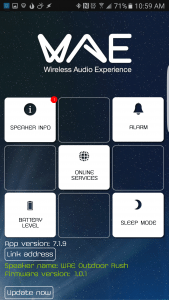 From the app you can set an alarm, manage sleep mode, upgrade firmware, manage playlists, and adjust the speaker’s equalizer settings. They are interesting features, but nothing I really would see myself taking advantage of very often; however, the app does have one great feature I could see myself using pretty often. 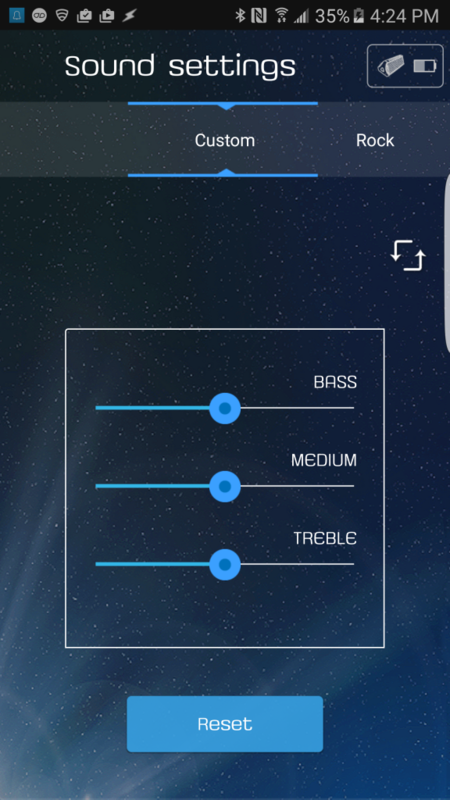 From within the app you can control the Rush’s FM radio function. This is a wonderful feature because as I said before, there is no way to be certain what station you are tuned to when using the FM radio from the Rush. 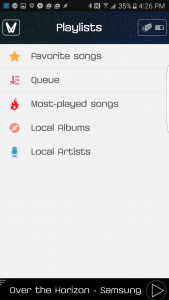 The app can also access your GPS location and find the name and frequency of all nearby stations. 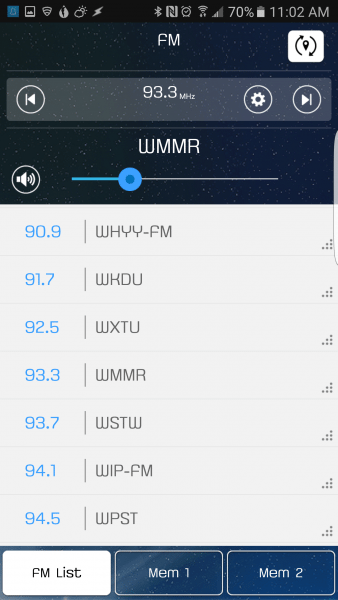 Additionally, you can store your favorite stations to the app’s memory for easy access. The very last feature I’ll write about is the Rush’s ability to function as a power bank. If you find yourself in an emergency, you can plug a USB cord into the Rush’s USB output and charge your phone. Unfortunately, the Rush only has a .5 amp output, so your device will charge pretty slow. I attached my phone to the Rush when it was 13% charged, after 48 minutes my phone was only charged to 15%. In that time I did some light messaging, but nothing more. If you find yourself in an emergency, the Rush will get you enough juice to make calls or send texts, but it won’t double as a legit power bank. 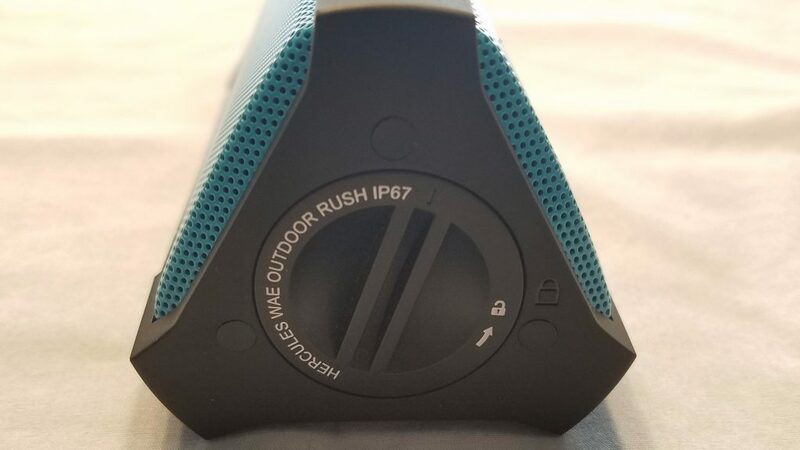 The Rush is a great speaker, it definitely is a contender for the title of best Bluetooth speaker I’ve reviewed. 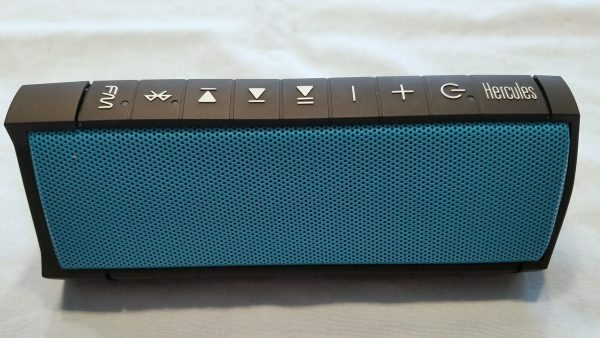 From the design, to performance, to the great extra features, the Rush is an all-around fantastic Bluetooth speaker. 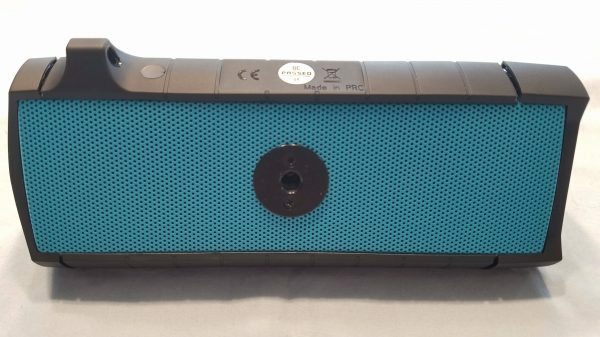 If you are interested in the speaker it is going to set you back a couple of bucks, $129.99 to be specific. Even still, if the Rush is within your price range, I would suggest going out and getting yourself one. 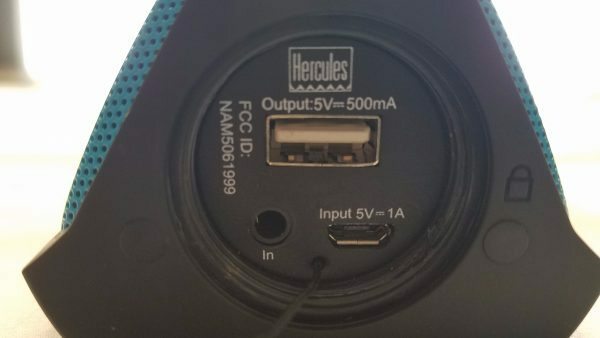 Source: The sample for this review was provided by Hercules. Please visit their site for more information and Amazon to order. HOURS? MY FUGOO IS RATED AT 40 HOURS. IS THIS ONE ABOUT THE SAME?